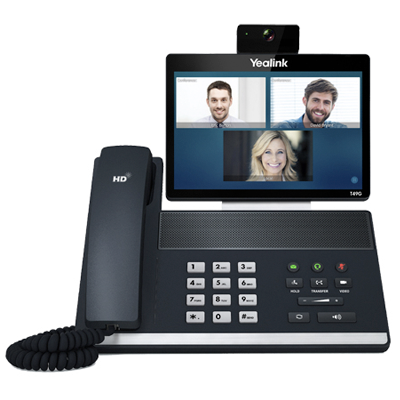 Yealink’s video collaboration phone T49G is designed for executives and teleworkers. It strikes the perfect balance between simplicity and sophistication, enabling high quality communications for business executives and professionals alike. With an enlarged, eight-inch, liquid crystal display (LCD) touch screen measuring 1280 x 800 pixels, as well as high definition (HD) video and audio, T49G facilitates seamless and efficient collaboration between employees, business partners, key stakeholders and customers. Furthermore, the T49G video collaboration phone boasts 802.11 a/b/g/n Wi-Fi connectivity, as well as Bluetooth 4.0 with Enhanced Data Rate (EDR) technology.